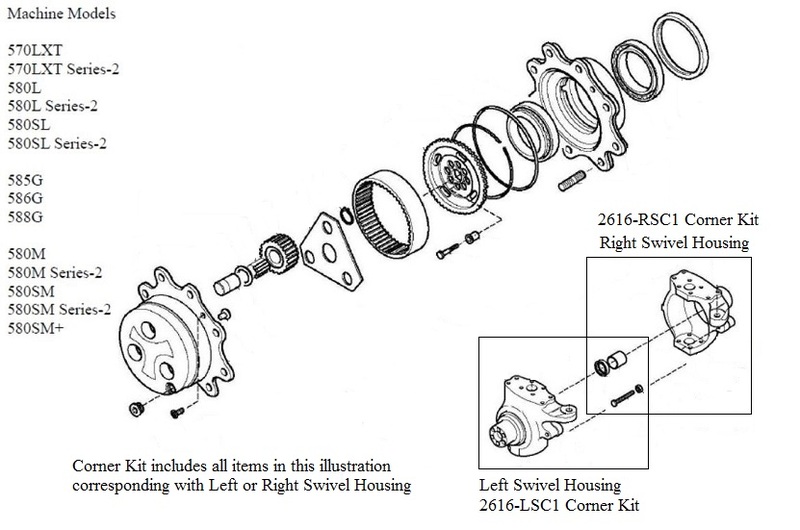 Corner Kit -LH, front axle spindle, hub & planetary. Replaces PV700103. Fits Case Case 570L, 580L & SL, 580M & SM, 585G, 586G, 588G. Carraro 2616 Front Steering Drive Axle, 4 Wheel Drive. Corner Kit -RH, front axle spindle, hub & planetary. Replaces PV700102. Fits Case Case 570L, 580L & SL, 580M & SM, 585G, 586G, 588G.